Cleaning your windows can be a tough job. The process can be even more complicated if you have pets and younger kids in your home. In these situations, you will have to make the process safe, effective, and less time consuming. This can only be possible if you hire professionals to do the window cleaning for you. Professionals are experienced and they can perform the most difficult job flawlessly in less time. Moreover, professional cleaning will be durable and they can increase the life of your windows as well. There are many benefits of hiring professionals for residential window cleaners. First of all, the process will be safe, less time consuming and effective. Consider the following reasons to hire the professionals for the residential window cleaning. Tools: Our professional team has all the right tools. They know which tools can be proper for your windows. And they will use the harmless chemicals to make the process safe. But, you need to inquire about the chemicals if any of your family members’ have respiratory problems and allergic issues. Skill and experience: Another advantage of professional residential window cleaning is that we have the requisite skill and experience. They know how to do the cleaning properly. Even if your home has a different architectural design, they can perform the job easily. Less time consuming: Professionals are familiar with all types of residential window cleaning jobs. They can finish the job less than half-time with better results. Improved results: A professional window cleaning will be far and away better then what most people are capable of. They will clean all the spots and dirt with the use of the right chemicals. Professional window cleaners are skilled and experienced meaning they are able to offer a perfect cleaning that will enhance the beauty of your home. Are you tired of cleaning windows at your home? Cleaning windows is a tedious task, and most dread the task altogether. Cleaning windows are tedious because it requires physical exertion, cleaning supplies and knowing a good window cleaning technique. So, what can people do to get clean windows but not have to exert all the effort? It requires hiring window cleaning experts to come and clean the windows for you. Experts clean windows all day, every day and know the right technique and complete the task quickly. It is becoming more practical for companies to merely contract cleaning services than hiring regular personnel who will do all the cleaning and janitorial functions. Many had adapted this scheme, and this is more cost effective to the firm. Aside from cleaning the rooms and offices in the building, a special cleaning job has to be done with the windows. As a homeowner, residential window cleaning has to be included as a basic expense. This is because these can accumulate dirt that will be sticky and difficult to remove. Most buildings have glass windows and dirt, filth and grime can amass in these areas. Noticeable dirt clinging to the window glass can project a very untidy office. The windows, furthermore, are seen from the outside, and people who do not get inside the office will conjure the impression that you conduct business in a filthy office. As you wish your window to be clean all the time, your firm should have a regular window cleaning service provider who will perform a normal schedule of tidying these areas. The task is difficult, and it will require some expertise. Thus, there are some traits to look for in the cleaning service provider. When choosing your cleaner, ensure that they have these qualifications. The first trait that your cleaning service must possess is reliability – both of the company and the cleaners themselves. This suggests that the firm you have chosen has adequate experience in residential and commercial window scrubbing and washing. You should pick companies that will send to your office well-trained staff. You should be aware that there is great risk in hiring non-professional cleaners. Your windows and other office stuff will be at risk of being wet and damaged. To be able to know if your chosen firm has the reliability factor, you have to check the company’s credentials. You will not only be hiring this for a single job. As windows keep amassing dirt, you need the regular cleaning to be done. So your arrangement and contract should be conceived on a long term basis. With experienced residential window cleaning provider, you can be sure that the team has the necessary equipment and cleaning tools. Cleaning also is innovative, and these people should be such. The tools need to be modernized to maximize the time spent in the tidying process. You should then ask the company to present to you documents proving that the company is insured and bonded. The insurance should also cover the employees. Cleaning the high windows can be risky and should accidents happen, these people are properly protected and covered. Being bonded also shows that the company will compensate you for any loss due to its personnel. Is the company trustworthy? You have to check on this. Remember you will be leaving the personnel in the office while they are undertaking the task. Check also on the cleanliness of the company office. How can an untidy office clean yours?You will find out that a cleaning service company is no ordinary firm. Just like any other company, these businesses had to meet certain criteria. Usually, a company that has been in existence for many years can possess the required traits. residential window cleaning not only clean windows for you, but they provide savings of both time and money. People are saving money because they don’t have purchase cleaning supplies and are saving time because they don’t have to get out and clean the windows. Now, people can worry less about the windows, spend more time enjoying life and still have the wonderful shine as they would when they cleaned the windows.Hire an expert to come clean your windows on a regular basis and never have to clean your windows again. 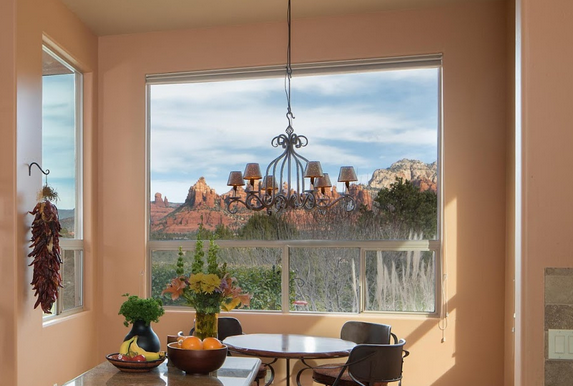 The experts can even make your windows look more vibrant and beautiful than ever before. Trust an expert, save time and do other things with your free time.